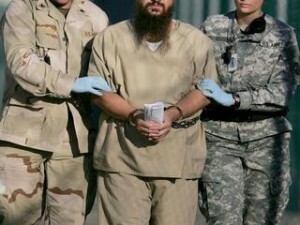 In the early years after September 11, the CIA turned a handful of prisoners at a secret facility at Guantanamo Bay into double agents and released them. Current and former U.S. officials tell The Associated Press that the program helped kill terrorists. Some prisoners ultimately stopped cooperating and fell off the CIA’s radar screen. The officials insisted on anonymity because the now-shuttered program remains secret. The program was carried out in a complex called Penny Lane, named after the Beatles song. Unlike the rest of Guantanamo Bay, Penny Lane looked like a motel. It had comfortable beds, kitchenettes and patios. It was one of America’s many secret trade-offs after September 11. As the government used the threat of terrorism to justify indefinite imprisonment, officials were releasing dangerous people to help fight terrorism. ‘Turning’ likely candidates is a standard War-Time practice. Both sides do it. So why bother with this silly ‘bit’ of news … they lose track of people all the time … why worry? Correct me if im wrong but wasnt the french sniper and underwear bombers for detainees at guantanamo? ‘Turning’ likely candidates is a standard War-Time practice. Both sides do it. So why bother with this silly ‘bit’ of news?